A selection of videos from our most recent race events ​from the 2016-17 Season. 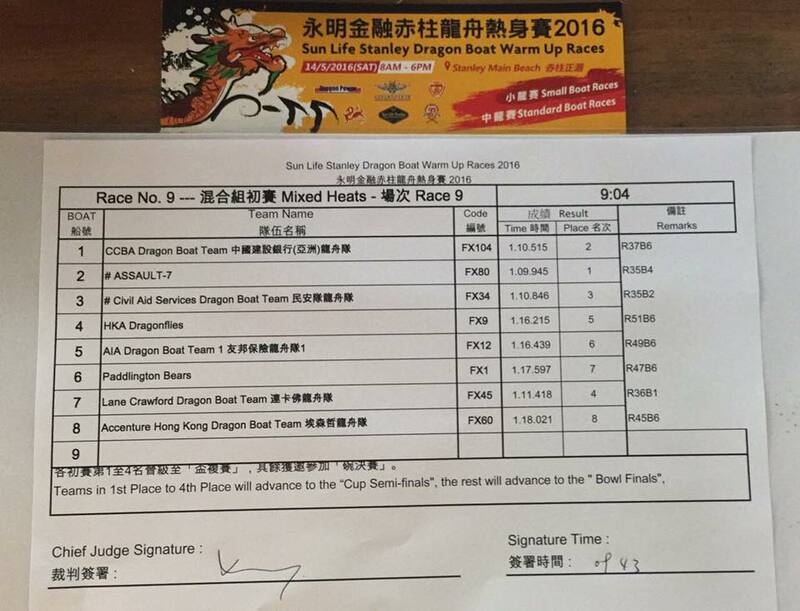 Our first race of the 2016-17 season, it's always great to be up against local talent here on our home training waters in Sai Kung. This event grows in size every year, and this year was no different! Unlike last year, we were down on numbers with it being the tail end of our Spring Break. Still, we were able to enter a mixed team against 17 other local teams in the Mixed Category. The weather held out for us and it was the perfect way to get back on the water after a 2-week hiatus! Videos to follow! A selection of videos from our 2015-16 Season race events. One of our favourite racing events of the season! We were even more excited to be here this year as last year's races (if you remember) were called off dramatically, as we were pulling into the blocks, because of Black Rainstorm warnings, lightning and thunder! 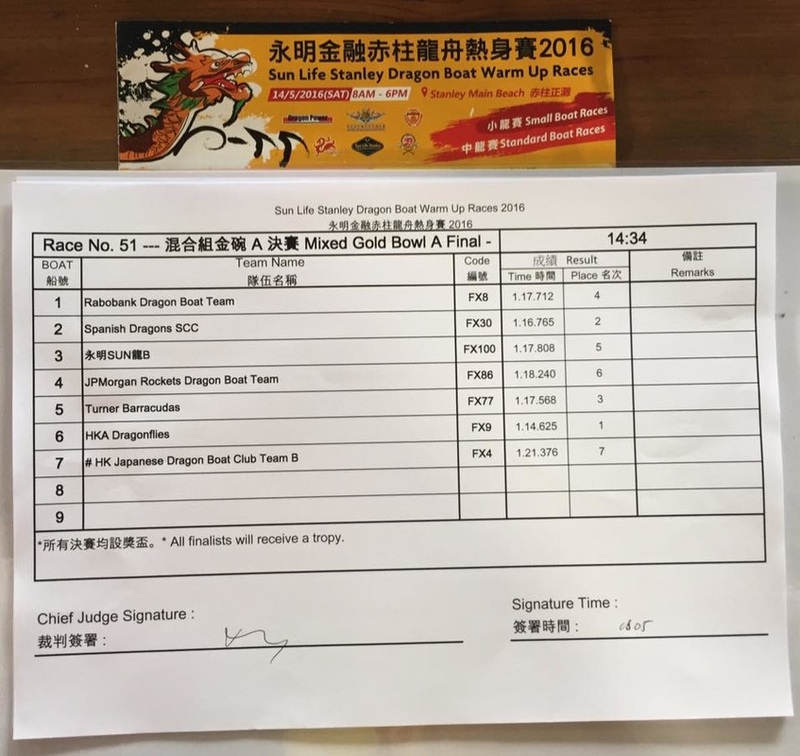 We weren't all available on this race day, but, we still managed to pull off a fantastic result, winning the Gold Bowl A Finals! This race was tough. We had underestimated our competition slightly, as you can see from the score sheet. The waters were choppy for everyone, so the adrenaline was really pumpking for this race! 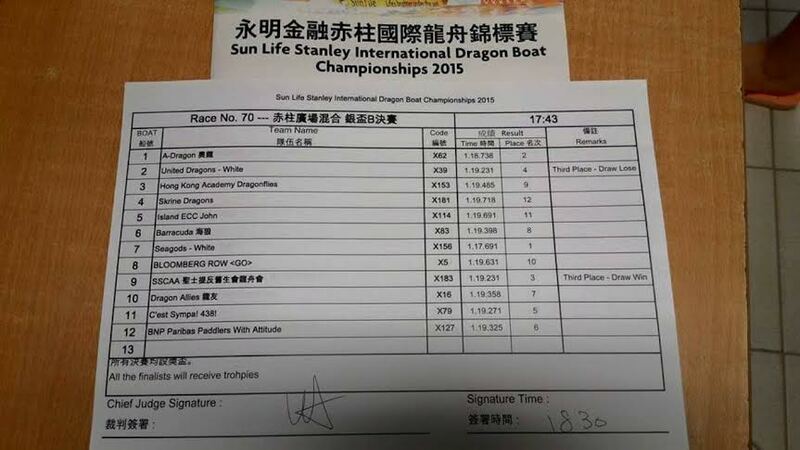 Having come in 5th in our last race, this put us straight through to the Gold Bowl A Finals. There were a few familiar teams in our race and we were happy to be paddling in the sunshine after a long day of waiting on the beach. The thrill of coming in a convincing FIRST in this race gave us all such a high! Here is footage from both boats we entered into this competition! Some tough competition and a surprise start. We were really pleased to have come in top three in this race (behind the Royal Hong Kong Yacht Club and Island ECC John) to qualify for the Cup Semi-Finals! Take a look at the teams on this list! These are teams who we typically find in the Gold Cup Finals! 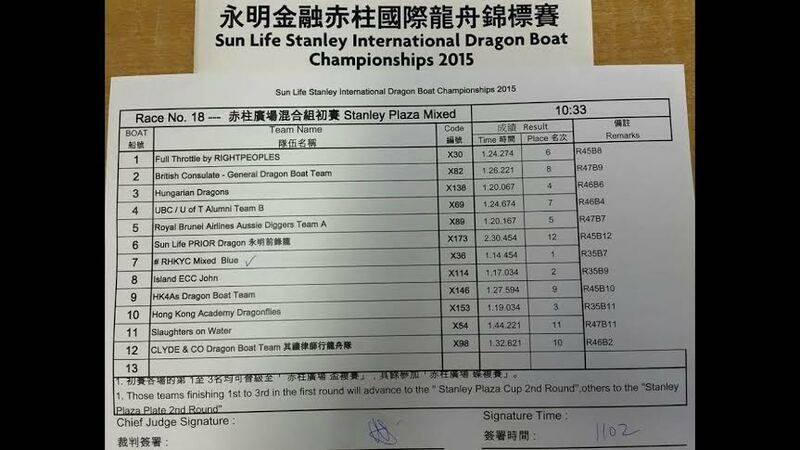 We rose to the occasion and raced our best time of the competition at 1:17:376, qualifying for the Silver Cup B Final. We met our friends, the Island ECC John team, for the third time out of three races today! A brilliant end of the day. Take a look at the times -- it was probably our closest race all day, with 10 of the 12 teams coming in at the 1:19 mark. 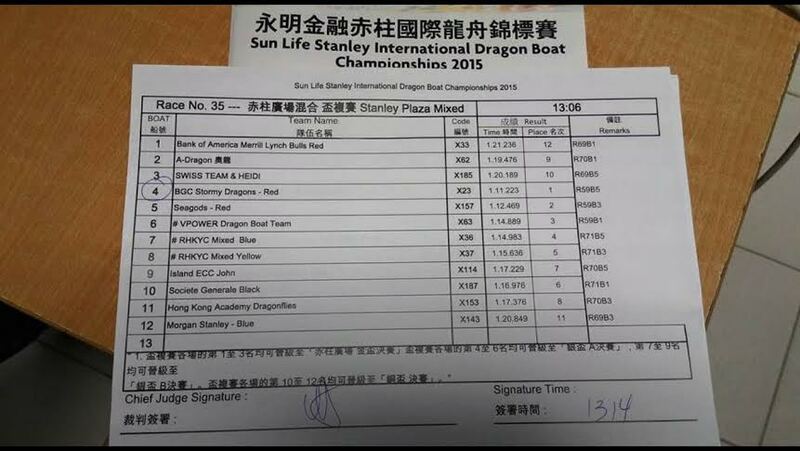 We came in 9th in this tight race, with 1:19:485, putting us at 33rd out of the 194 teams competing on the day. A selection of videos from training, both recent and not-so-recent. We hold our training in Sai Kung on Wednesday evenings, and Stanley on Saturday mornings. Training with the newbies back in January! The first race's start took us by complete surprise! Quite a wait, with lots of adjustments before the start was called, as you can see! Race 3 - Mixed Bowl Silver Bowl Final (race 61) -- the mad scramble back to the beach! Footage from our second race (Race 30) not available, unfortunately, and our last race was cancelled. Read more about the day here!